Have a vacation home that needs refurbishment? Do you have a vacation home that is in need of a refurbishment? 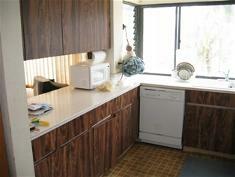 We specialize in redecorating and refurbishment of Vacation Homes, Villas and Condominium’s. We can also assist with floor plans as well as full architectural design plans. Below are some of the projects we have worked on with before and after photos. 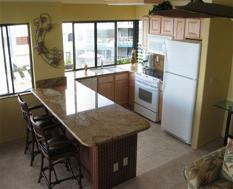 This Kona Hawaii condo was a direct oceanfront condo that was in need of a major remodel. 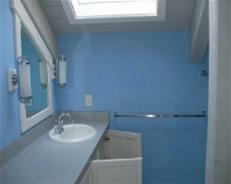 The project included taking out walls to expand the space and replacing kitchen and bathroom cabinets and fixtures. The photographs above show how simple it can be to replace just a few elements to give a new fresh look to a tired bathroom. 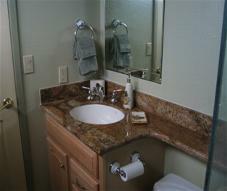 This bathroom project involved replacing the bathroom light fixtures, counter top and mirrors. 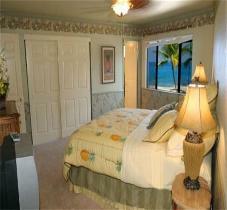 We choose a lighthouse nautical theme to coordinate with the rest of the vacation home decor. The outdated Formica counter top was replaced with granite and the old set top sink was replaced with a new under counter sink. 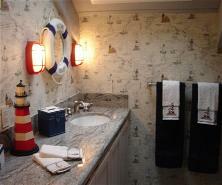 Nautical wallpaper with a few new bathroom accents in a nautical theme rounded out this fresh new look! Is your Vacation Home working for you ? Is your vacation home starting to look old and tired? Is it in need of serious updating? 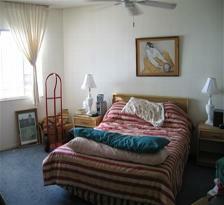 Did you purchase the property turnkey with old outdated furnishings ? Are you starting to lose bookings because the property next door is fresh new and exciting? 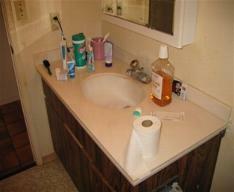 Call or write us today as we can help to give your property a totally new look. Our goal is to create a memorable design image your guests will take away with them!